Our most important service to the community is our Food Bank. We are the largest client-direct food bank in Alameda County, providing some 16,000 individuals with over 6 million pounds of food. We receive Emergency Food from the Alameda County Community Food Bank and Surplus Food from the USDA. We also have strong ties to local stores and small businesses who allow us to rescue good food that would normally go to waste. Local faith-based organizations and school groups often run food drives for us to supplement our supply. We are sincerely thankful for the support of the community in gathering food for those who need it. 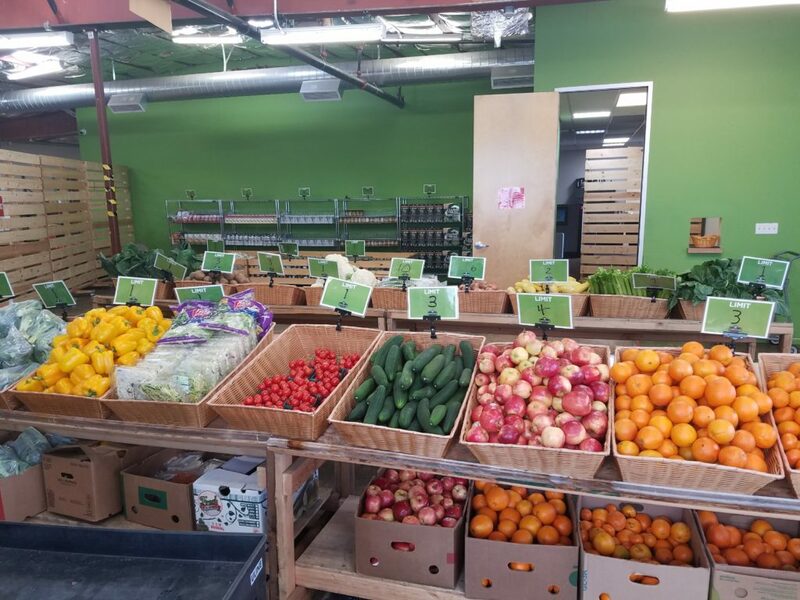 Our clients can expect to choose from healthy and nutritious food including seasonal fruits and vegetables, whole grains, canned and boxed goods, meats, and dairy items. Item availability is based on donations and the season. Clients can access this program twice a month. Volunteers are needed to help greet our clients, restock items and move groceries to clients' transportation. Our TCV Marketplace serves an average of 1,000 families each week. For clients who may not have access to a stove or food storage, our Bag Lunch Program provides a meal and a warm smile. Over 100 individuals access our bag lunches every day. Individuals can pick up bag lunches Mon-Thurs from 12-4pm and on Fridays from 10am-12pm. Something about our thrift store quickens the heart and brings a smile to the face. Our customers know that we give them the opportunity to save money and to find something useful, if not unique. They love to talk to us too. Many of our shoppers come by every day and we are proud to know them so very well. 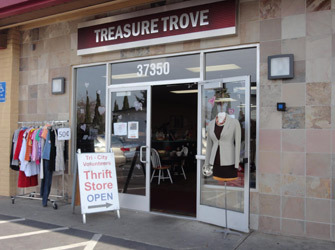 Many of Tri-City Volunteers thrift store customers shop with us because they are clients of our food bank and have to watch what they spend. They love our low, low prices. For others, it’s about the thrill of the hunt and the promise of treasure – YOUR OLD STUFF! For the benefit of our low-income shoppers, we keep the prices of all our donations low. Remember, every day is SALE DAY! Residents of Fremont, Newark and Union City are eligible to receive food from us. If you are without permanent shelter, you may come in once per day to receive a prepared bag lunch from us. There are some maximum income requirements for the USDA food program that must be met. Even if you exceed these maximums, however, you can still come to us to receive our other food programs. Proof of Residency - this can be anything that proves you live in the Tri-Cities area, such as a utility bill. We encourage new clients to sign up Mon-Thurs from 1pm-2pm due to shorter lines and faster processing.